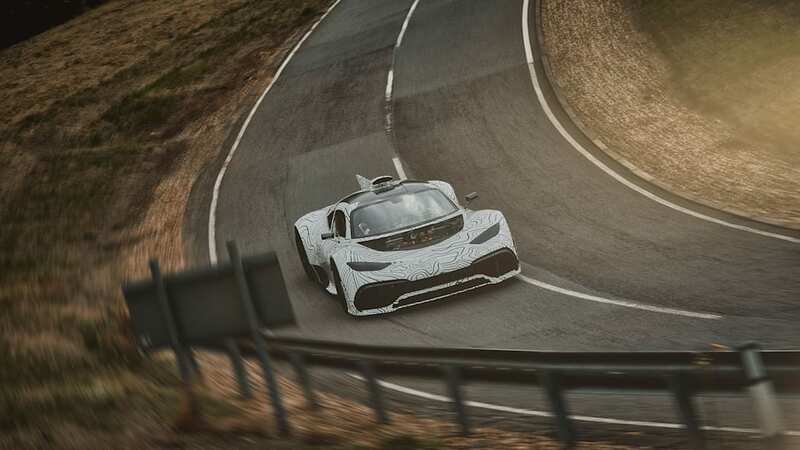 In March, Autocar reported that Mercedes-AMG had investigated challenging the outright Nürburgring lap record. 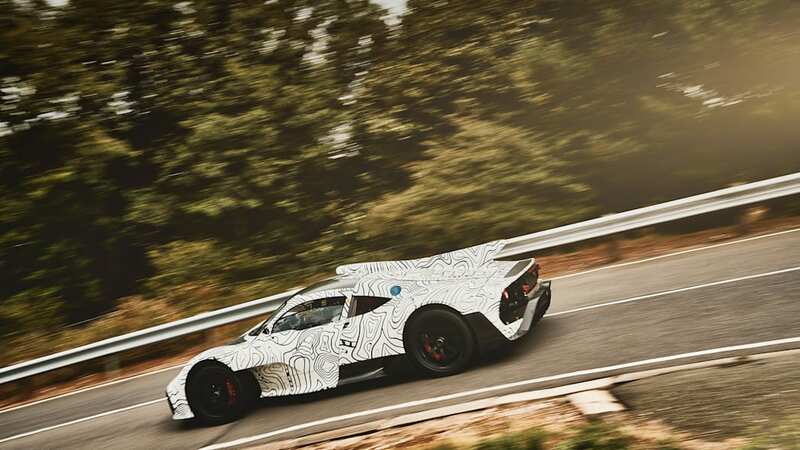 Mercedes was said to have studied the fastest two laps, both set by racing driver Stefan Bellof in a Porsche 956, with the intent of setting a new benchmark using the AMG Project One, which will now be called merely the AMG One. Apparently AMG believed it could be done, the hardest part being "finding the right driver." AMG boss Tobia Moers still believes the One could win the day even after the Porsche 919 Hybrid Evo obliterated the old mark by nearly a minute. But Moers quashed the attempt, telling Australian site Motoring, "Could we beat the Porsche's 'Ring time? We could, probably," then adding, "I just don't know what we'd do it for." Moers admits the Porsche run "was impressive," and a One victory "would be close." To give the One a chance at the title, engineers could rework the aero, yank out the air conditioning, and put on different tires. But Moers can't see the point of a fully homologated production car challenging a race car that's been upgraded beyond any legal race spec. "Theirs is a racing car that isn't actually fit to race anywhere, in any class, anywhere. It doesn't have any rules," he said. At one point there had been rumor of a track-only version of the One, which might have made more sense to field, but such plans, if there really were any, were axed. For a quick rundown of the figures, Bellof's 35-year-old record stood at 6:11.13, set during qualifying for the Nürburgring 1000 KM race. The 956 produced 630 hp in its most powerful guise from a 2.5-liter, twin-turbo V6. The upgraded 919 Hybrid Evo put out not less than 1,160 hp from the combined efforts of its 2.0-liter V4 ICE and electric motor. Having had its aero tweaked and been stripped of its A/C, windshield wipers, and jack system, it averaged 147 miles per hour around the 'Ring, hitting a top speed of 229 mph, to set a lap time of 5:19.55. 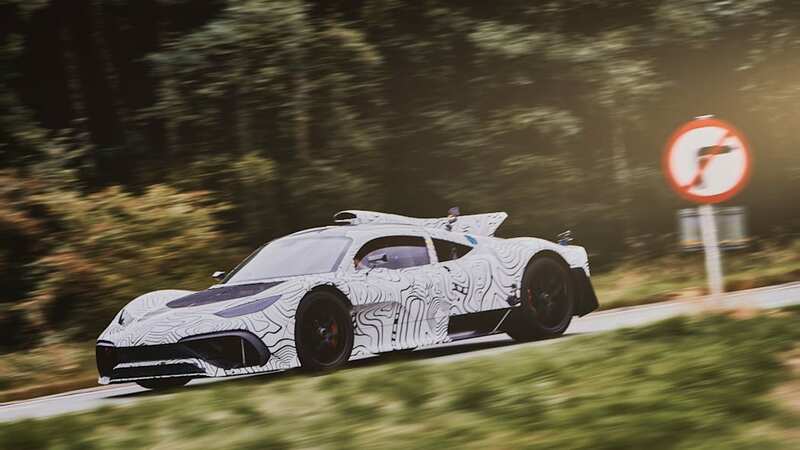 We're still waiting on final specs for the AMG One, but it's expected to make more than 1,021 horsepower from its 1.6-liter turbocharged V6 and four electric motors, and post a top speed beyond 218 mph. We can see Moers' point. Now that the One's been placed in the ring with the 919 Hybrid Evo, Mercedes takes the biggest risk. 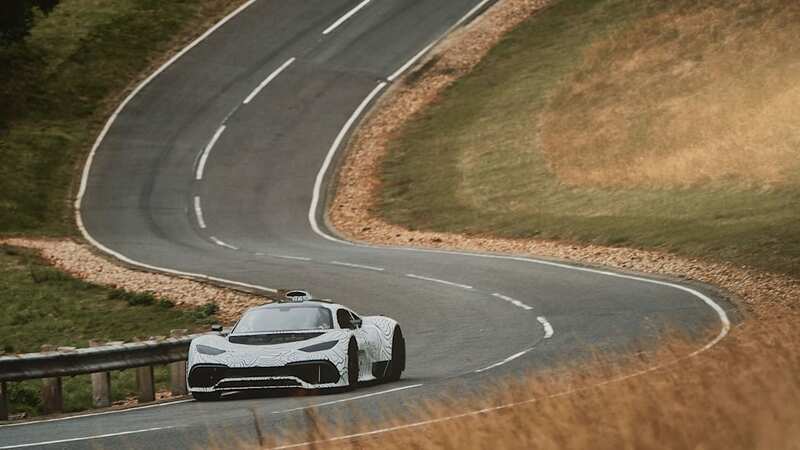 If the One doesn't set a new best lap, it looks like the Mercedes-AMG hypercar lost, and explanations of the lopsided competition won't get trumpeted as much as the mark in the L column. Every One is already sold, and has given new dimension to the brand a year before the first customer delivery. And yet, we think the challenge is all the more worthwhile if Moers really believes the AMG One can do it. 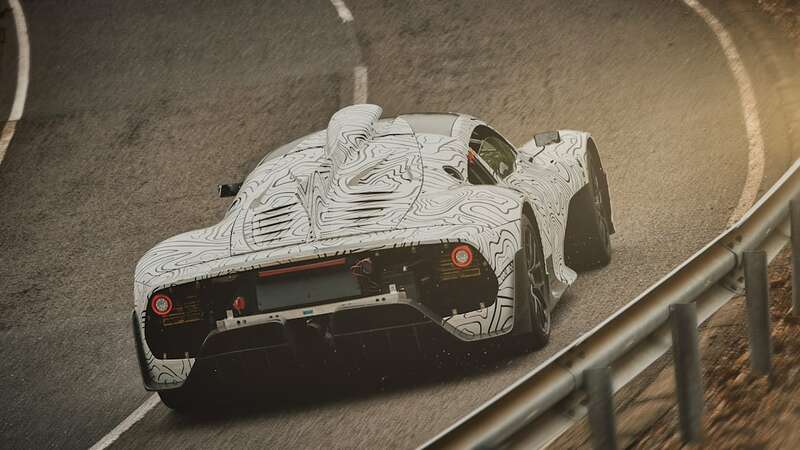 To have a fully homologated road car from the sporty division of a luxury car brand beat a dedicated, unrestricted effort from the legendary racing division of a legendary sports brand at the world's most iconic lap-record track? We'd buy tickets to that show.